CICO diet – short for “Calories In, Calories Out,” this concept has both positive and negative aspects. For example, there’s evidence showing the general concept of cutting calories works for weight loss. However, it is not a sustainable solution because it’s training people to focus on food quantity, not quality. One could eat junk food and experience weight loss while causing issues such as nutrient deficiencies, hormone imbalances, low energy, and a loss of lean body mass. Looking to give it a try? First, track your typical daily caloric intake. Then compare it with your estimated total daily energy expenditure to assess how many calories are needed to maintain your current weight. Finally, the idea is to reduce your calories by 500 each day or 3500 per week, in order to burn 1 pound of fat each week. Don’t assume following this for a year will lead to a loss of 52 pounds; the body doesn’t function that way and, in its fight to maintain homeostasis, metabolism will slow and lead to a weight-loss plateau. At this point, you’ll realize cutting calories only works for a while and you’ll need to eat nutrient-dense foods and exercise regularly in order to achieve and maintain a healthy weight. Meal-planning & batch-prepping – good for your health and your wallet. As we like to remind clients, if you don’t plan, plan to fail. I’ve seen surprisingly positive results when clients take this simple suggestion on board – and the myriad ways that meal planning can be “catered” to personal needs for lasting success. One disadvantage affects those who enjoy intuitive eating. Meal-planning and batch-prepping may fail when your body is craving something warm, salty or crunchy and you have a salad planned for dinner. Also, take seasonal changes into account: a healthy smoothie is a better choice for warmer weather; the refrigerated beverage is often unappealing during winter. With batch-prepping, the time and health benefits are numerous. The main concern would be spoilage issues if food is not treated and stored properly. An example includes preparing rice, egg, or oatmeal dishes for an entire week, not realizing mold and bacteria quickly grow as the food passes through its proper shelf life in the fridge. 5:2 diet – an intermittent fasting method popularized by a book of the same name with the tagline “Feast for 5 Days, Fast for 2 Days to Lose Weight and Revitalize Your Health.” While there is benefit in allowing the digestive system to rest, two days is probably unfeasible for most people. It’s similar to binge-and-restrict behavior versus regular, moderate eating. Our advice: if you’re trying it, just give the people around you ample notice that you’re likely to be moody and/or ‘hangry’. Also, this diet would not be recommended for anyone with blood sugar issues such as hypoglycemia or diabetes. Ketogenic diet– as a result of severely limited carbohydrate and increased fat intake, the body is put into a state of ketosis. This usually leads to weight loss and even improved insulin sensitivity. A potential long-term consequence of increased saturated fat intake is an increase of low-density lipoprotein (LDL) cholesterol, which is associated with increased risk of cardiovascular disease. As with other diets, the success of this one depends on how you adapt your dietary habits as you return to a more balanced way of eating. The bottom line: there is no ‘one-size-fits-all’ diet as effective as having a customized, tailored way of eating which is simple, achievable, and sustainable. The basic principles of eating a balanced, varied diet built upon whole foods will win the game every time. Always remember to talk with your doctor or healthcare provider before embarking on any diet or exercise plan. 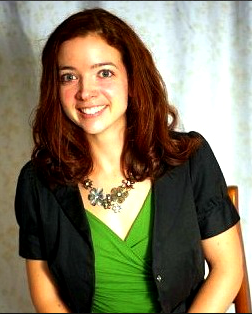 Adrienne Raimo, RDN, LD is an integrative & functional nutritionist located in Columbus. Her passion for nutrition, health, and wellness helped her overcome illness and inspired her to empower others to do the same. Ready to create your own best life and diet? Schedule a discovery call and visit OneBiteWellness.com for nutrition and lifestyle resources as well as whole foods, plant-based recipes.